At CDS Audio Visual we provide top quality microphone hire, including a fantastic selection from the Shure ULXD range. There’s no point holding a conference or event if your audience can’t hear what you’re saying. That’s why you should always ensure that you choose the best AV equipment hire company to supply not just your microphones, but your PA system too. When you choose to hire a microphone from us, you can be sure that you’re getting the very best microphones on the market which will give you high quality audio output and reduced interference. 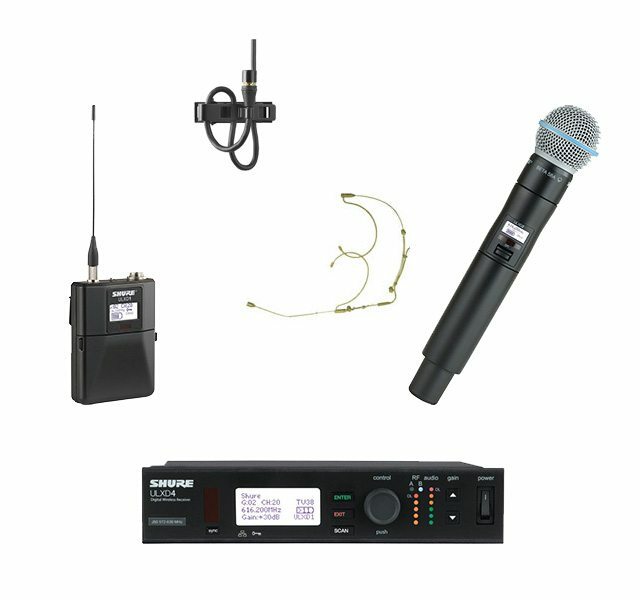 Furthermore, for full peace of mind, all our microphones for hire are fully compliant with Government Regulation (ACMA), so you’ll not only get the sound output you need but you’ll know that your equipment is safe too. To make the most of your wireless mic hire, you may want to consider hiring a PA system from us too. We have some of the best sound system hire in Sydney, to suit all kind of venues from small to large. So, whether you’re planning a training seminar for your business, a larger conference or some other event that requires the use of radio microphones, get in touch with us at CDS Audio Visual and we’ll help you to find the best AV solution for your conference or event. And, if you’re planning to hold an AGM or some other panel type meeting, you can rely on our quality table microphones to give you the sound quality you need. As one of the leading AV equipment hire companies in Sydney, we aim to supply the best quality equipment together with the very best customer service. When you hire your AV equipment through us, you’ll receive the benefit of our 20 years of experience in the business, together with the expertise of our AV technicians. We’ll deliver and set up your equipment and even stay throughout your event, should you require it, to ensure that your sound is perfect the whole way through. That’s why we’ve a reputation for providing the kind of mic hire that Sydney event organisers love. If you’d like any further information about our mic hire, or you’d like to book our services, call us now on 1300 852 552 or complete our online contact form, and one of our friendly team will get back to you to discuss your needs. In addition to Microphones Hire, We also offer other AV Equipment Hire Services like PA Systems Hire, Lectern Hire, Projectors Hire & Large Monitors Hire in Sydney.